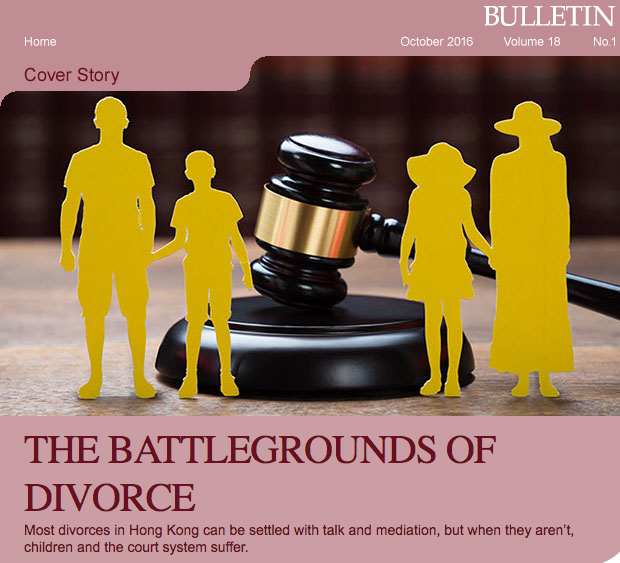 'Blameless divorce' has been the guiding principle in UK law and by extension Hong Kong since the 1970s: let couples divorce, do not ask why, and focus on the legal division of assets and custody of children. It is meant to take some of the pain out of a marriage breakup, but as Dr Keith Hotten of the Department of Professional Legal Education explains, “the devil is in the details”. Dr Hotten wrote the leading textbook on Hong Kong marital law and, as a barrister of 25 years in Hong Kong and the UK, has seen divorces mushroom here, with the number of petitions granted more than doubling since the mid-1990s to about 23,000 a year. He has also been at the sharp end when it all goes wrong. “Judges would like agreement and the vast majority of cases are agreed. But the problem is that matrimonial law, unlike nearly all other types of civil proceedings, is highly emotional. You have cases where husbands and wives hate each other and won’t give an inch. They fight over the dog, over a worthless piece of pottery, they will fight over everything. Some of them also have lots of money and use the courts to litigate. And there’s the rub,” he said. When there is an unwillingness to back down and the case goes to trial, it can take 18 months to two years to get a few days in court to hear the case – such is the backlog in the courts. 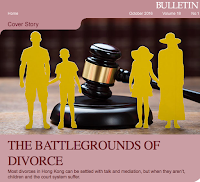 By contrast, couples willing to go through mediation can have their Decree Absolute granted by the court within a few months, although even that overburdens the judicial system because of the sheer number of divorce petitions each year. Those who insist on getting their day in court must be willing to pay. “People who don’t have a lot of money can’t afford to litigate,” Dr Hotten said. “Middle class couples may have more to argue about and one of them might get legal aid, but it will still cost a lot of money. You’ve got family lawyers charging HK$6,000 an hour, and you can see people fighting over HK$20 million, which is not much given the price of homes in Hong Kong. You could spend HK$10 million on lawyers if you spend two years litigating to trial. Multimillionaires with money to burn don’t care about the costs, but they are clogging up the courts.”... Click here to read the full article. I'd like to add that so many people nowadays make most of their decisions based on emotions, rather than on healthy logic. Unfortunately, marriage is quite often one of these decisions. Obvious evidences that may have pointed towards a potential problem in the marriage are often ignored.